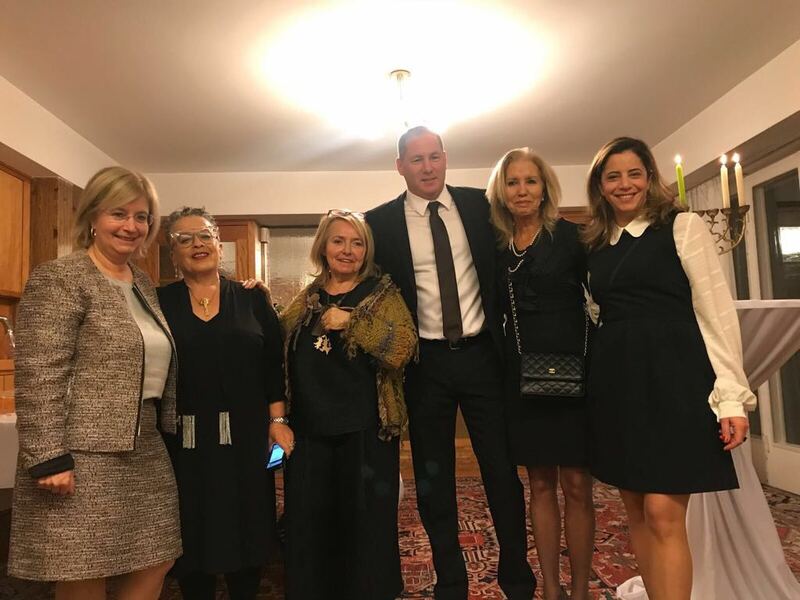 Ambassador of Israel in Austria, Ms. Talya Lador-Fresher, hosted a festive reception and Hanukah candles lighting at her home with respected members of the Jewish community in Vienna, marking the 40th anniversary of Beit Hatfutsot. Ambassador Lador-Fresher pointed out the importance of Beit Hatfutsot, the unique museum telling the ongoing story of the Jewish people, emphasizing the cultural richness and the diversity of different movements. Mr. Dan Tadmor, CEO of Beit Hatfutsot, Ms. Adi Akunis, director of the Friends Association, Ms. Enia Kupfer Zeevi, director of the Israel and Europe Desks, Ms. Hannah Pri Zan, chair of the Friends Association, and Dr. Joanna Nittenberg, director of the Vienna Friends, and more distinguished guests attended the reception.